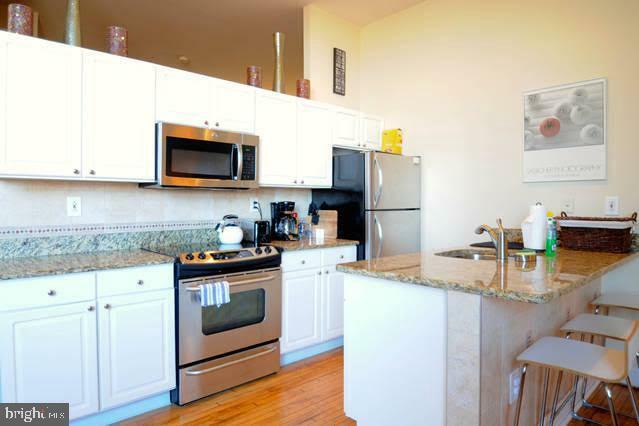 Fully furnished, large loft style one bedroom with UTILITIES INCLUDED, located in the heart of Old City! This unit offers hardwood floors throughout, high ceilings, and huge windows in the living room that have a fantastic city view! Completely updated kitchen with granite counter tops, all stainless steel appliances including built-in microwave & dishwasher, and breakfast bar with bar stools. Large bedroom, great closet space and elegant all white tile bath. Quiet location in the building. Building offers secure entry, elevator, and card operated laundry on every floor. 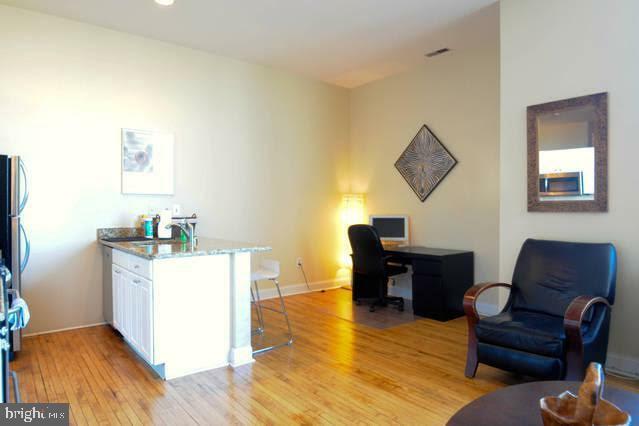 Located in the heart of Old City directly on Arch Street, steps from Starbucks, public transportation, great art galleries, shops, restaurants, and historic attractions. 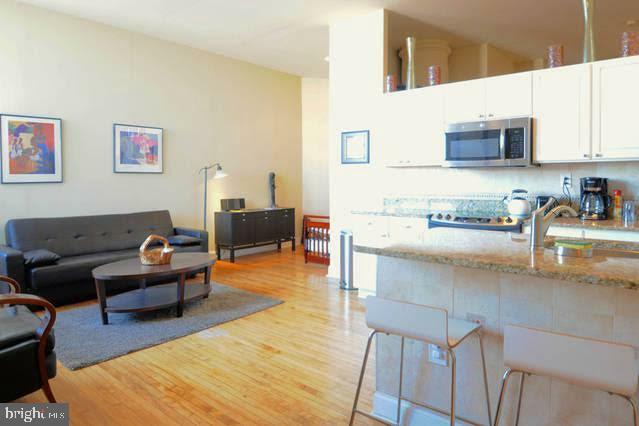 Just a 2 block walk to the nearest subway stop for easy access to downtown and regional train lines. 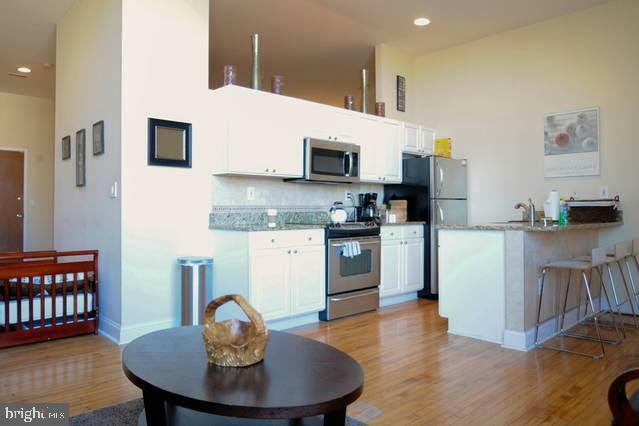 Convenient access to major highways, and multiple parking garages & lots nearby that offer monthly parking. Available for April 1st move-in. Can be rented unfurnished.